North Texas has seen plenty of rain in the past few weeks and lake levels are going up, but state officials say Texas is not yet in the clear. The state warns that 25 percent of our future water needs will be met through water conservation. Texas Agriculture Commissioner Todd Staples met with state and local officials in Mesquite Monday morning to push a new water conservation initiative, Texas Water Smart. After last year's record drought, wasting water is like wasting money, he said. The state estimated that Texas agriculture producers lost $7.62 billion to the state's drought. While we've had plenty of rain and lake levels are up, Texas is not in the clear yet. Officials warn 25 percent of the state's water need still has to be met by conservation. 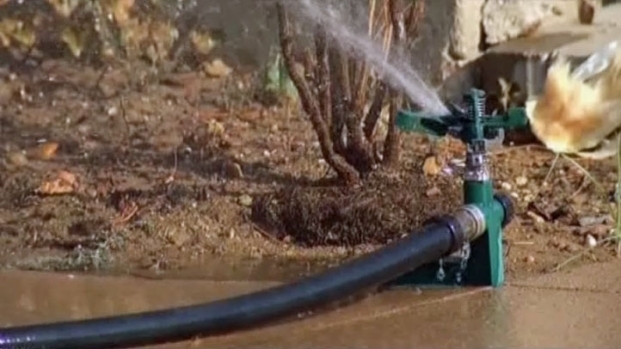 "This last drought reminded us of the severe economic consequences of not having a reliable water supply," Staples said. "In short, it cost Texans jobs." He said he still sees a drought threat, even with recent rain and the North Texas Municipal Water District's relaxed water restrictions. "The reality is, the hot summer months, the high temperatures, are just weeks away, and they really do threaten our water supply," Staples said. "That's why we need to be Texas water smart all year long." Mayors and businesses around the Metroplex joined the coalition and pledged to be leaders in saving water indoors and outdoors. "Consistency is always the key, always realizing that water is a precious resource that must be carefully managed," Garland Mayor Ronald E. Jones said. "If we have another drought, we'll be back to where we were not too many months ago," Mesquite Mayor John Monaco said. As part of the coalition, The Home Depot will have water conservation classes this March, April and May. "We don't know how many days of 100-degree temperatures. We don't know how much rainfall is going to happen, and it's important we get ahead of it," said Santiago Bernardez, of the Home Depot. Scurry resident Carol Steen said she saves by reusing the water she boils for food such corn and eggs on her flowers and plants. "You might as well save all the water you can so we don't have to go through that again," she said.